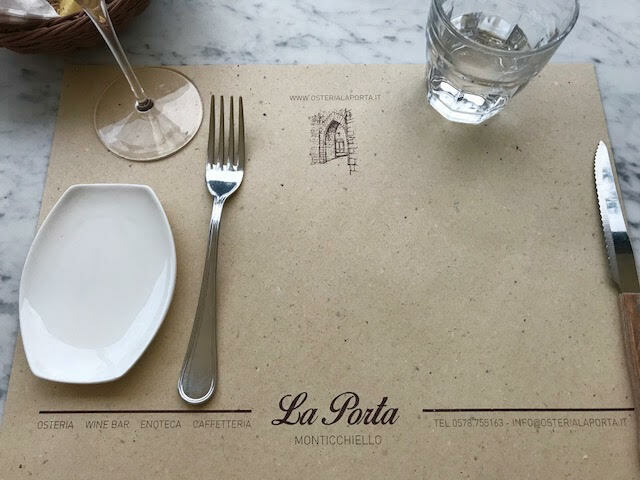 Another quaint, yet very busy restaurant in a small town of Tuscany known as Montichiello, is La Porta. 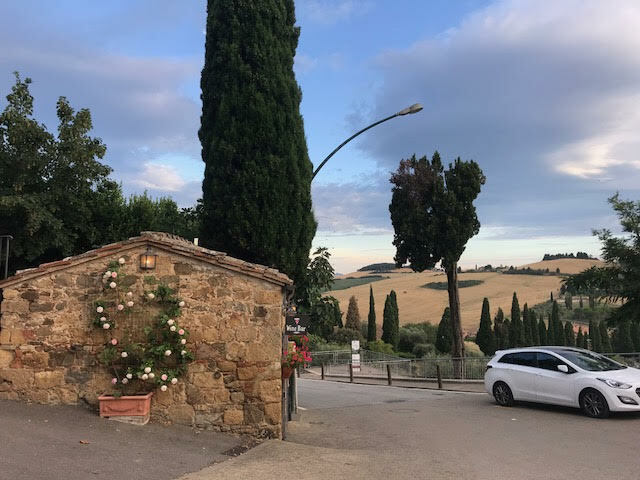 We arrived to a parking lot below the main area of the town, parked, and walked our way up a small hill towards the restaurant. Inside La Porta we were greeted by friendly staff at the front who showed us towards our reservation table up a few steps, where we were outside overlooking the hillside of Tuscany. 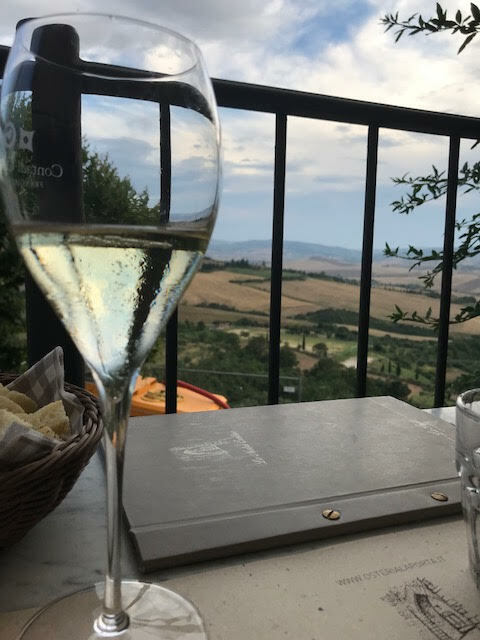 The views in every part of this region are absolutely breathtaking so if you can sit outside to dine, I highly recommend it. To begin, I ordered some sparkling wine from Italy called Franciacorta, which was introduced to me at La Locanda, actually! Crisp, refreshing(especially after a hot day by the pool) and again, native to the country, it provides a nice alternative to Prosecco. 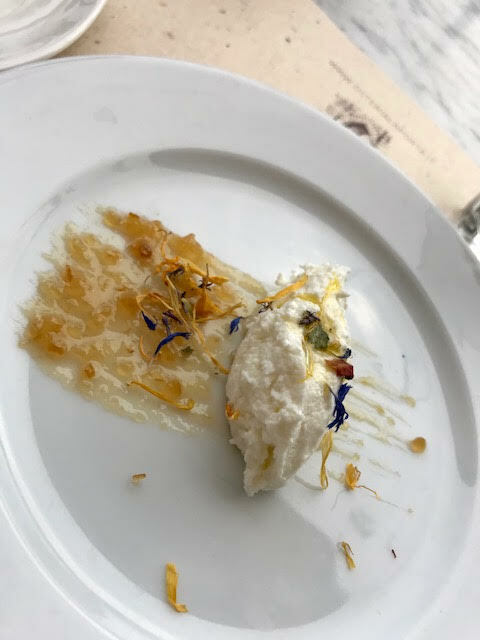 While we enjoyed our aperitifs, a house-made specialty ricotta cheese with honey and flowers was brought out for us to enjoy. The subtle flavors of the ricotta and honey were a great match for each other. 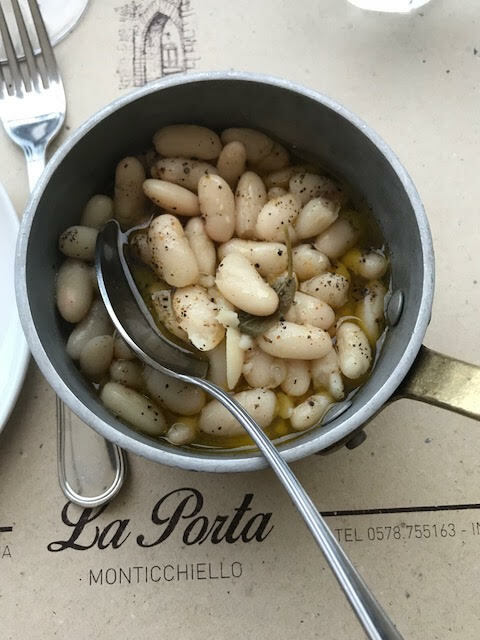 For dinner I ordered a side of Tuscan white beans in olive oil, again, all from the region, and a plate of gnocci al pomodoro. Of course the gnocchi were sprinkled with, can you guess? Tuscan pecorino. The first gnocchi of the entire trip and we were two days away from leaving! 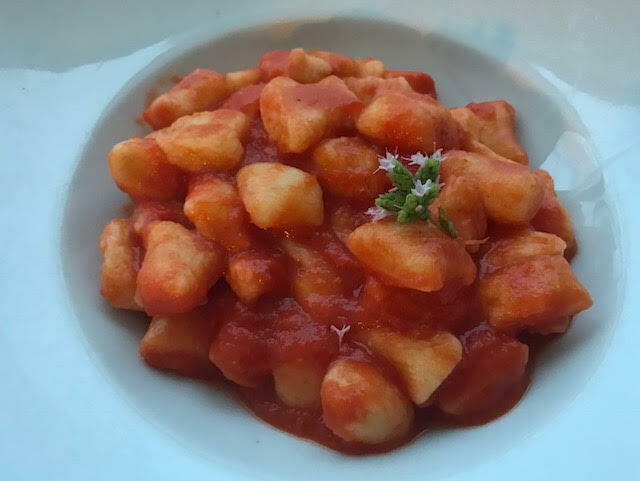 Ah, just thinking of the deliciousness of the tomato and the homemade gnocchi and the cheese, just all of it, really, is making me want to go back!! Very, very lovely experience as our trip was coming to an end. There is just something about the difference in flavor of everything in Italy. Perhaps its the soil, or maybe its the love that goes into making every dish here. But, if you get the chance to try this wonderful place, go for it because the ingredients are all fresh, it’s a family-owned business, and the view is unbeatable.